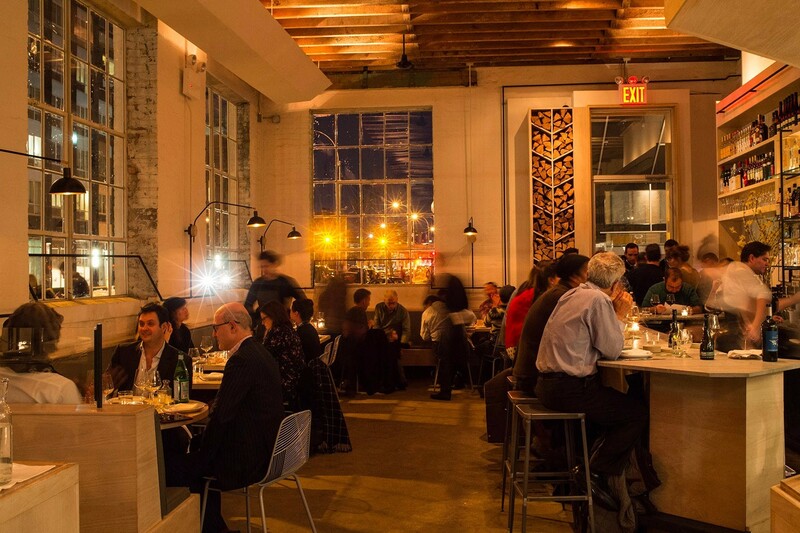 Lilia is an Italian restaurant in a renovated auto body shop in Brooklyn that received a glowing 3 star review from The New York Times just weeks after opening, and continues to be one of the hottest seats in town over a year later. The restaurant is owned by chef Missy Robbins and Sean Feeney, longtime friends and former neighbors who’ve successfully transitioned into business partners. When searching for a team to help them with their website, Lilia opted for BentoBox, which has helped drive their business growth. “It’s the perfect product for restaurants to use and operate. I can’t think of anything that’s more efficient—it completely changed the game and disrupted an inefficient market,” says Feeney. Signing on with us was natural choice for Lilia as a new business, and the numbers show that it’s working. 70% of Lilia’s gift card sales happen on their website. Average gift card sale was $145. Sales spiked over the holidays: 68% of their gift card sales last year occurred in November and December. It’s not always easy to book a reservation at Lilia—seats fill up weeks in advance, but offering gift cards is a great way to both earn revenue and keep seats filled well into the future. Bonus: The Lilia gift card, designed by chef/owner Missy Robbins, arrive with beautiful packaging. 80% of all of Lilia’s private event inquiries start on their website. It’s easier and faster for guests to fill out the online form than to call the restaurant directly. Guests can quickly inquire about private events by filling out the online form, while Lilia team members can stay organized by having all inquiries in one place. Since november 2016, private dining inquiries have increased by 48% with their website private event form. 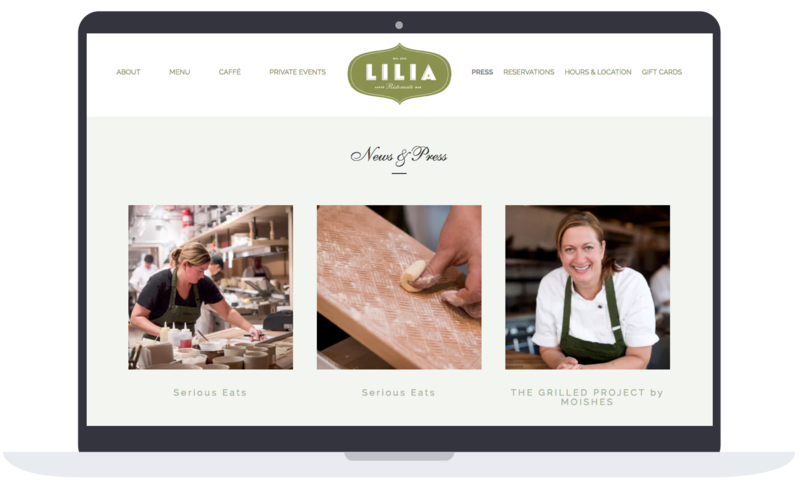 Nearly 50% of their referral traffic (how people are finding Lilia online) is through press hits—i.e., publications and blogs that write about the restaurant and link to Lilia’s homepage directly. Their press page is neatly organized and easy for users to navigate, making it super simple for Lilia to show off all of their media hits and keep their press section up-to-date with the BentoBox backend. Cross-linking to press hits that refer to Lilia’s homepage helps boost Lilia’s SEO.